Low profile lightweight performance sailing shoe. • Constructed with highly breathable mesh fabric. • NonSlip-NonMarking„ outsole for superior grip in wet conditions. • Signature Port and Starboard detailing. • Removable footbed for arch and heel support. • D-Chassis System offers extra support, protection and control. 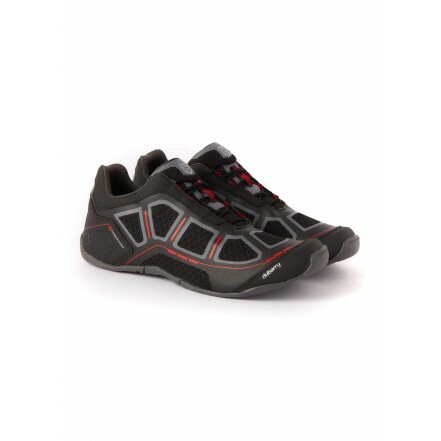 • Secure lacing system for improved foot stability. Click Here for Size Guides.